One part homemade Christmas ornament and one part fabulous gift wrap. Of course Lisa Storms would come up with something as fabulously cute as these DIY clay ornament gift tags. 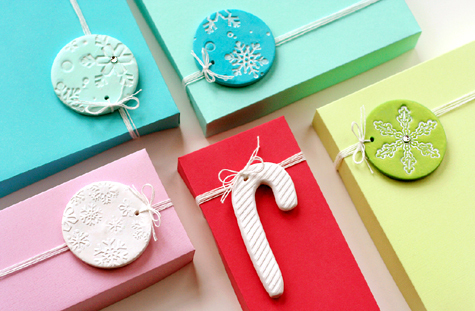 You can check out how she made these DIY clay gift tags over at Fiskars.